April 5, 2011 - The FAA will issue an emergency directive today that will require operators of specific early Boeing 737 models to conduct initial and repetitive electromagnetic inspections for fatigue damage. This action will initially apply to a total of approximately 175 aircraft worldwide, 80 of which are U.S.-registered aircraft. Most of the aircraft in the U.S. are operated by Southwest Airlines. 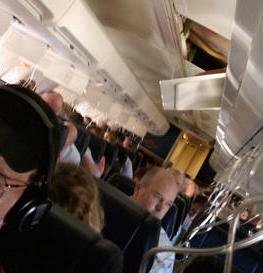 This come in light of Southwest Airlines Flight 812 a Boeing 737 aircraft (N632SW) which experienced an in-flight fuselage rupture in the top of the aircraft, approximately mid-cabin that occurred on Friday evening that led to a rapid depressurization of the aircraft and oxygen masks were deployed. There were 118 passengers onboard and five Phoenix-based crew members aboard Flight 812, the aircraft landed safely in Yuma. ?Safety is our number one priority,? said Transportation Secretary Ray LaHood. ?Last Friday?s incident was very serious and could result in additional action depending on the outcome of the investigation.? ?The FAA has comprehensive programs in place to protect commercial aircraft from structural damage as they age,? said FAA Administrator Randy Babbitt. ?This action is designed to detect cracking in a specific part of the aircraft that cannot be spotted with visual inspection.? Southwest Airlines is working with the National Transportation Safety Board (NTSB) to determine the cause of the rupture. Further, the carrier has decided to keep a subset of its Boeing 737 fleet out of the flying schedule to begin an aggressive inspection effort in cooperation with Boeing engineers. "The safety of our Customers and Employees is our primary concern, and we are grateful there were no serious injuries," said Mike Van de Ven, Southwest's executive vice president and chief operating officer?.